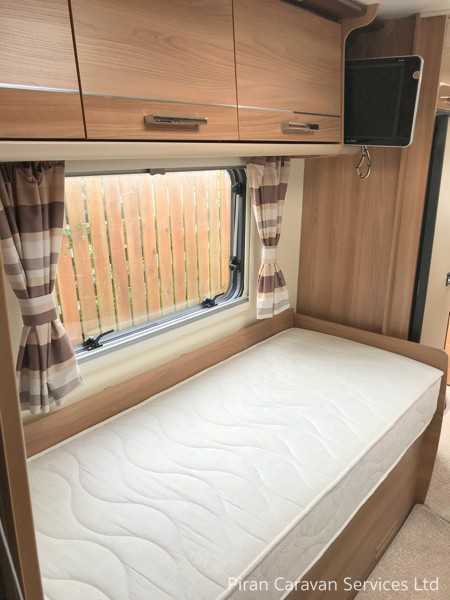 In recent years a new layout has gained popularity, this Cadiz is an example of this, it provides flexible sleeping options. The front can be used as a double or two small singles, and two fixed single beds mid ships. 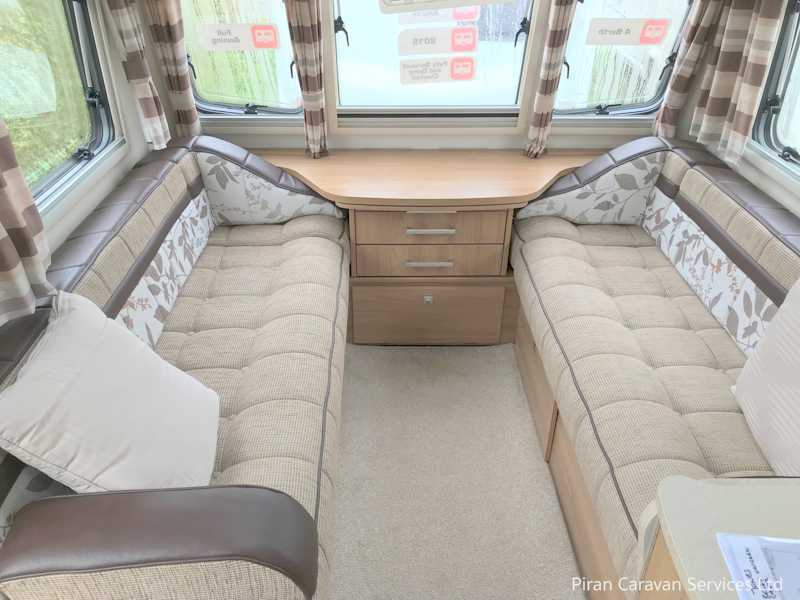 This caravan will suit couples looking for a spacious, luxury caravan with separate beds or a family of 4 with older children/ teenagers, or for grandparents who sometimes take the grandchildren with them. This Bailey Unicorn 2 Cadiz is a top of the range touring caravan with the top range of fixtures and fittings, in the Bailey range. The Cadiz has a spacious front lounge, and a well equipped kitchen in the centre, with 2 separate single beds in the rear, and a large bathroom, with a separate shower, adjacent to the single beds at the rear. 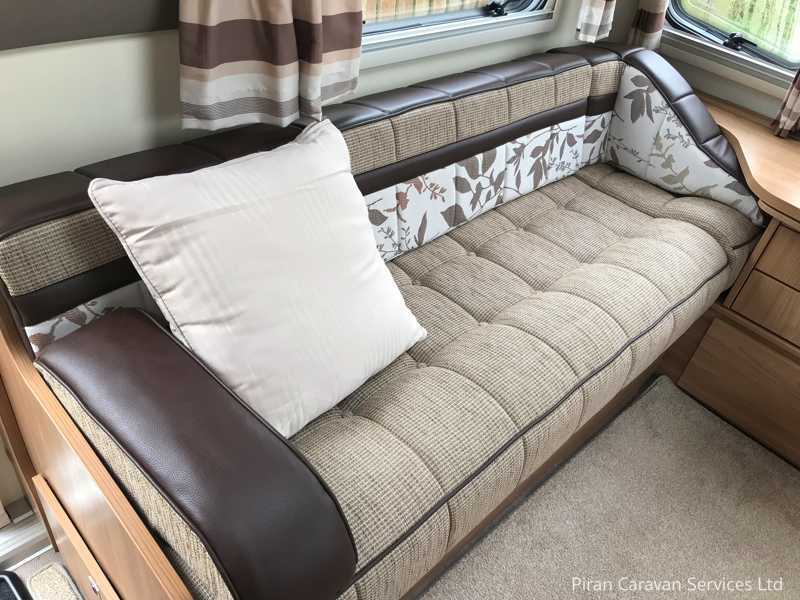 The caravan has benefitted from being stored undercover in the winter, has a full service history and all the paperwork, manuals and receipts. 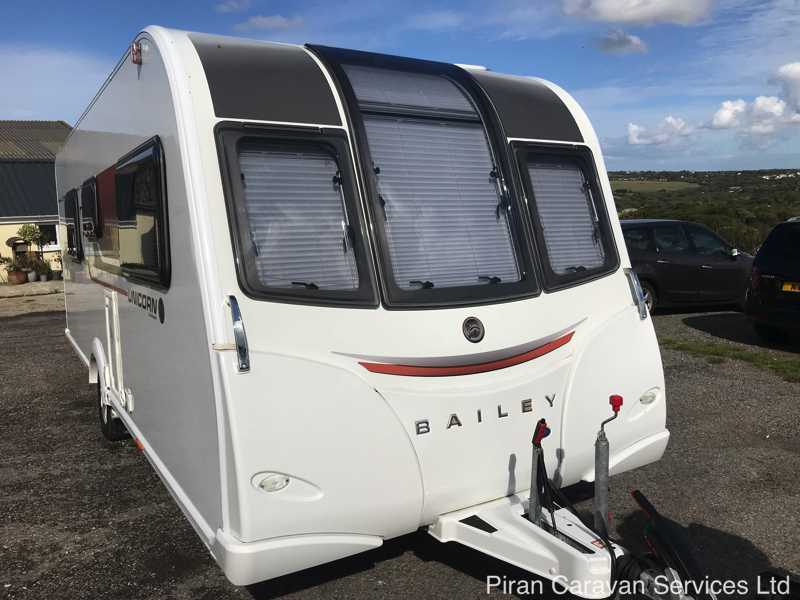 It will be fully serviced and damp-checked by an approved caravan workshop, is complete with a 2018 Isabella full awning, an extensive range of expensive caravanning extras so it will be ready to go for that first trip! Bailey have refined their 'Alu-Tech' bodyshell with increased levels of interior quality and refinement, as well as Grade 3 thermal insulation for the 2015 Unicorn models, resulting in an award winning caravan which Bailey designed for use all year round. The external condition of the caravan is extremely good, a benefit of being undercover in the winter. 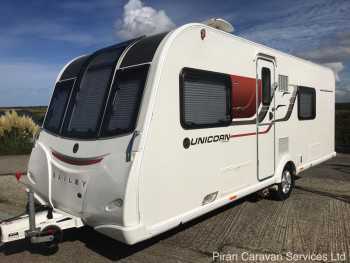 The Unicorn Cadiz features Polyvision double glazed windows throughout, with Horrex pleated blinds and flycreens. The body is mounted on an AL-KO galvanised chassis featuring AL-KO stabiliser and shock absorbers, as well as the ATC trailer control system, resulting in a caravan which is stable, easy and safe to tow. A two-part Hartal exterior door leads to the inside of the caravan where the spacious lounge area showcases luxurious Italian-design walnut furniture for the overhead aircraft-style lockers, drawer unit and under seat storage doors. The twin seats at the front convert into a large double bed, with the familiar Bailey pull-out slat system. 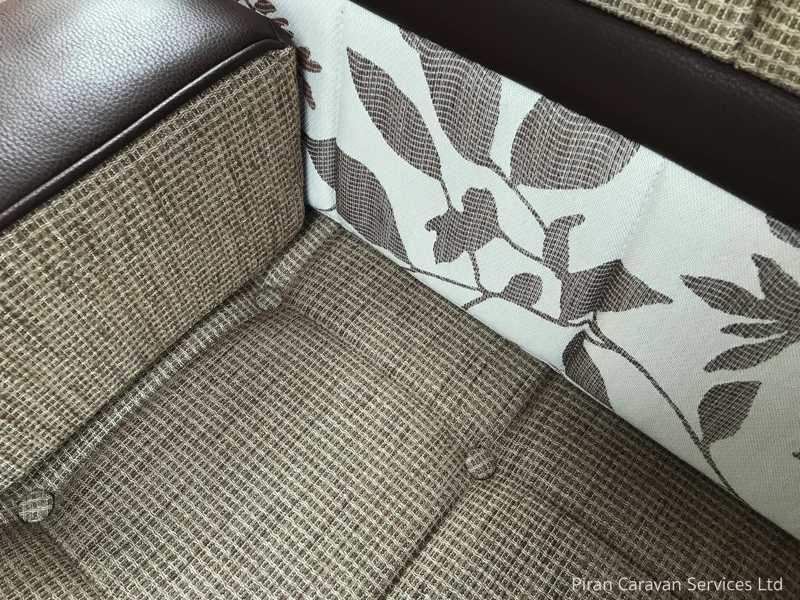 Attractive and unmarked upholstery in premium fabric, is complemented by matching cushions, curtains and deep pile 'drop-in' carpets. 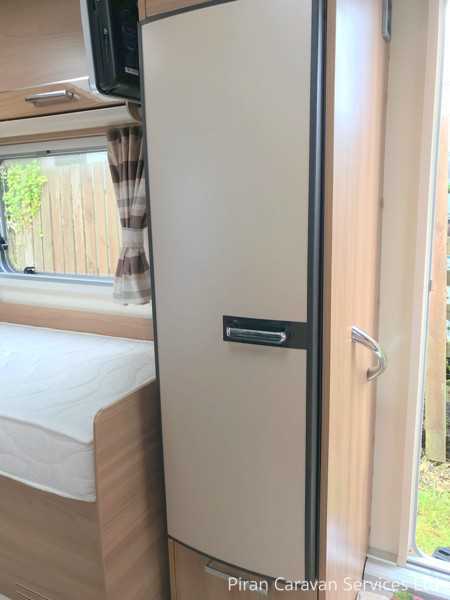 A large Heki 2 rooflight provides light and ventilation. 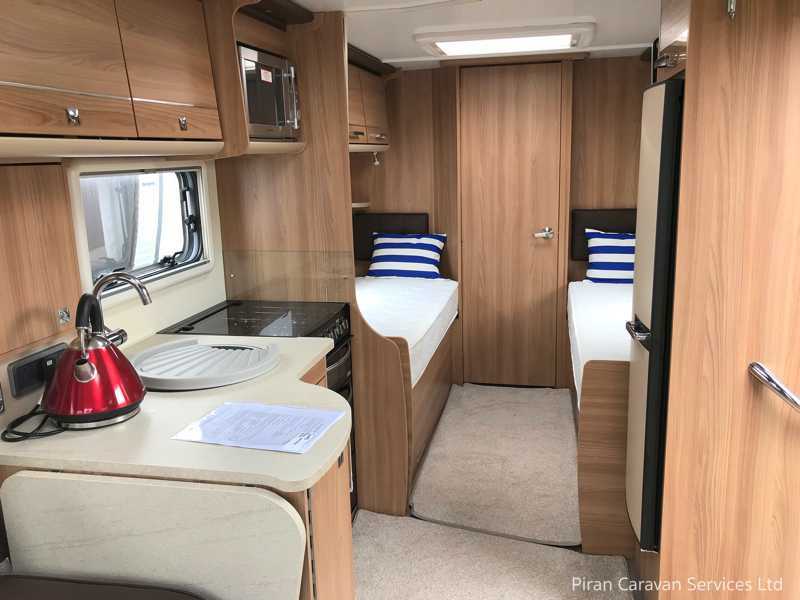 In the lounge and throughout the caravan, ambient lighting and task lighting is provided by attractive energy-saving LED lights which give the caravan a warm and cosy appearance at night. 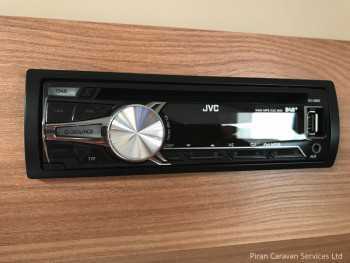 Home entertainment equipment includes a radio/cd/mp3 player with IPOD connection and branded dual-cone speakers for sound quality. 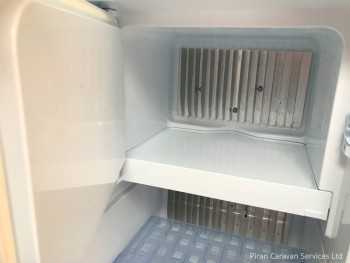 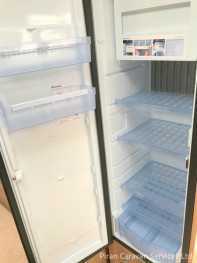 In the kitchen, the high spec equipment includes a large Dometic dual-fuel fridge with removable freezer compartment. 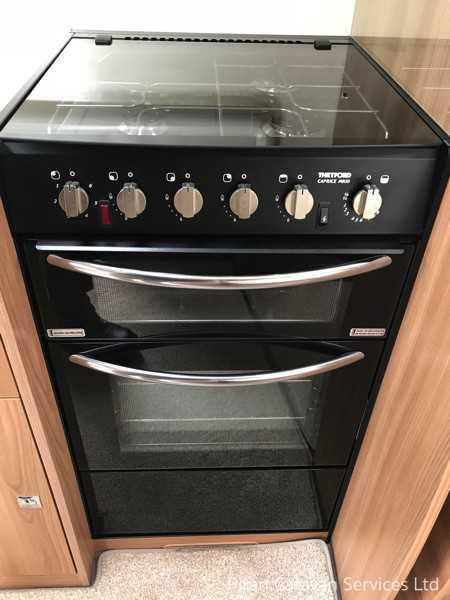 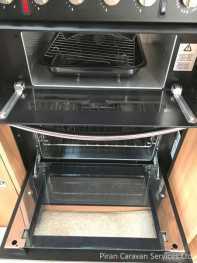 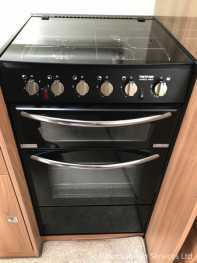 Thetford recessed 4 burner dual fuel hob with flush fitting glass lid, Thetford stove with grill and a separate domestic-style glass fronted oven with electronic ignition and flame failure control. 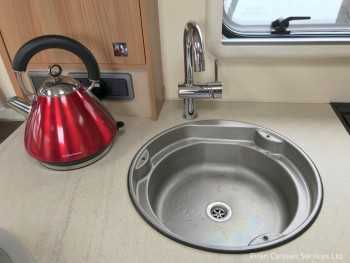 A stainless kitchen sink with removable drainer, chopping board, washing up bowl and features a chrome mixer tap. 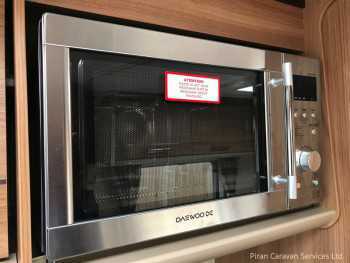 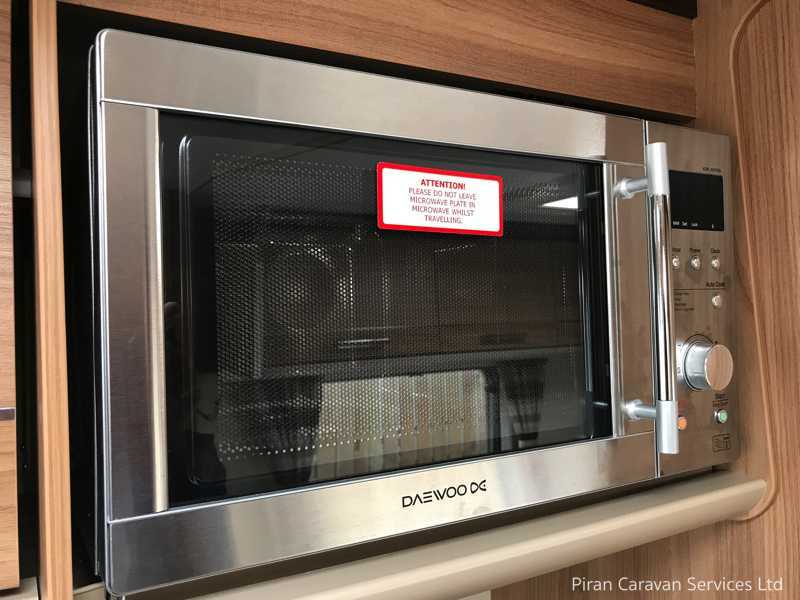 There is also a stainless steel 800w microwave oven conveniently located at eye level and a mini Heki rooflight located over the kitchen. The Bailey Unicorn Cadiz boasts an ALDE Hydronic Compact 3010 programmable radiator heating system, with combined water heater supplying hot water to the kitchen and washroom. 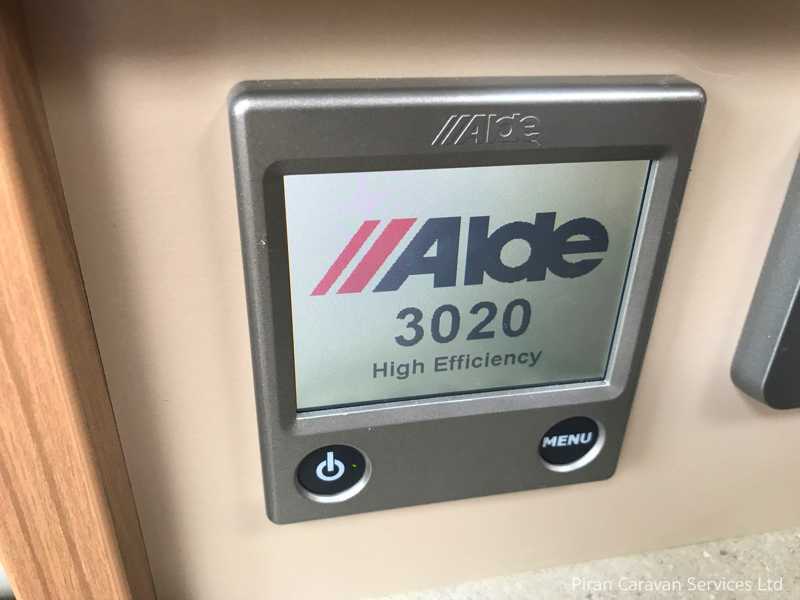 This system allows the owner to control the heating system through a touchscreen panel which gives daily and weekly timer programmability, just like a home central heating system. 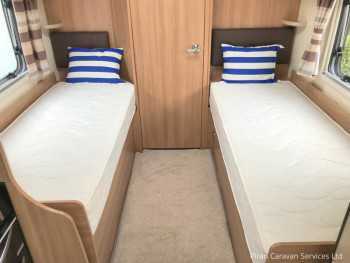 Moving back through the Unicorn Cadiz, the layout features twin single beds, with deluxe pocket sprung mattresses, and the bedroom can be separated from the rest of the caravan by a privacy screen. 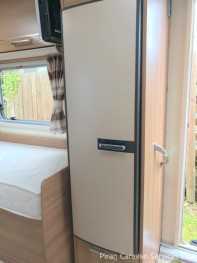 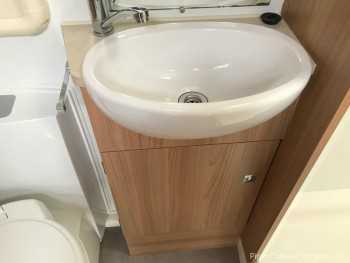 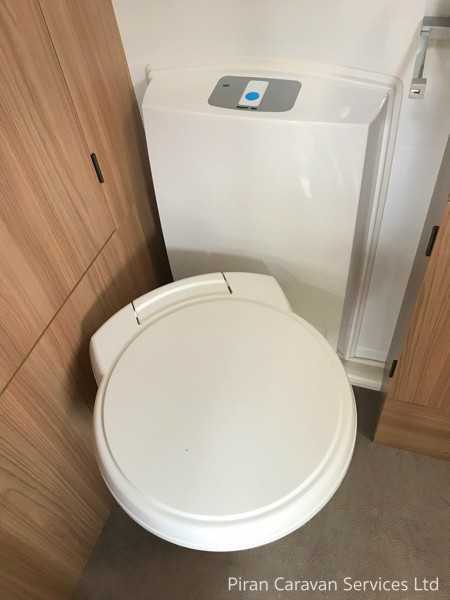 This creates a walkway right through to the rear washroom, creating a light, open and very spacious caravan, perfect for caravanners’ with children or those who like to sleep singly. 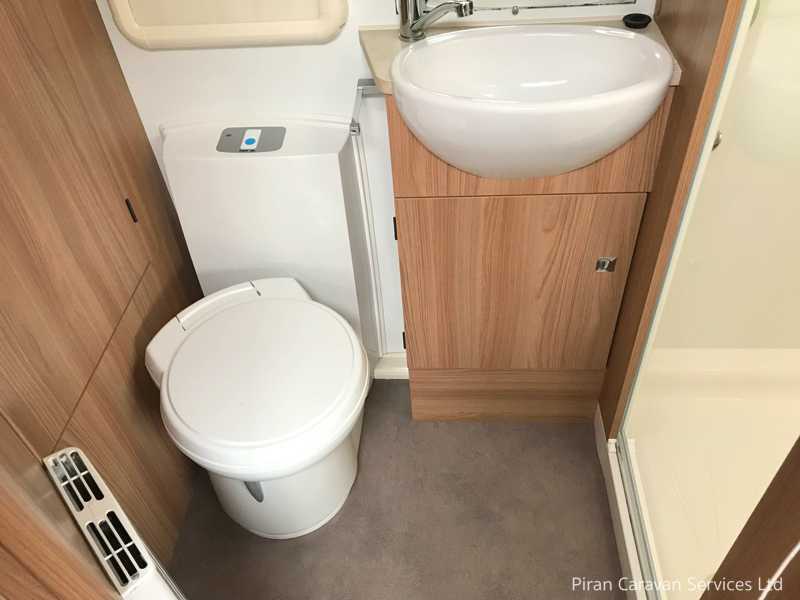 A domestic style door leads to a large end washroom which features a Thetford c-260 cassette toilet with electric flush, 'Belfast' style washroom sink, mixer tap and a fully-lined shower cubicle with bi-fold door, ceramic ball mixer tap and 'Ecocamel' shower head. For security, there is a Thatcham-approved tracker alarm and intruder alarm. 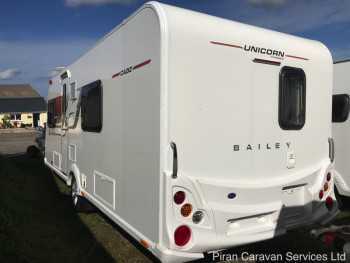 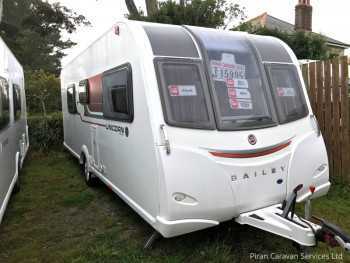 This beautiful Bailey Unicorn Cadiz also comes with a 2018 Isabella full awning with curtains and pegs. 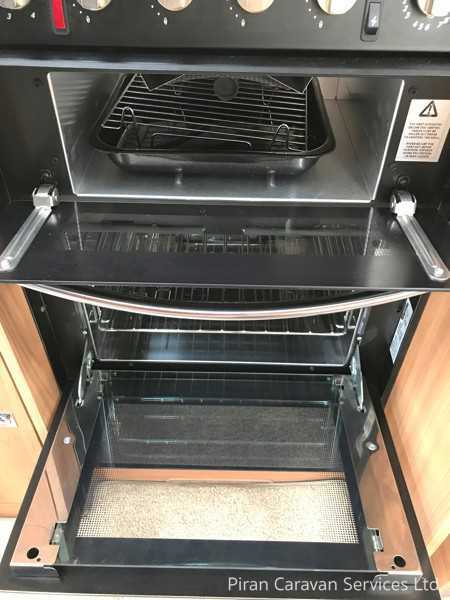 It also comes with a comprehensive list of caravanning extras including Aquaroll, Wastemaster, gas bottle, step, hook up cable, TV/DVD, and much more, making it exceptional value for money, and ready for the off. 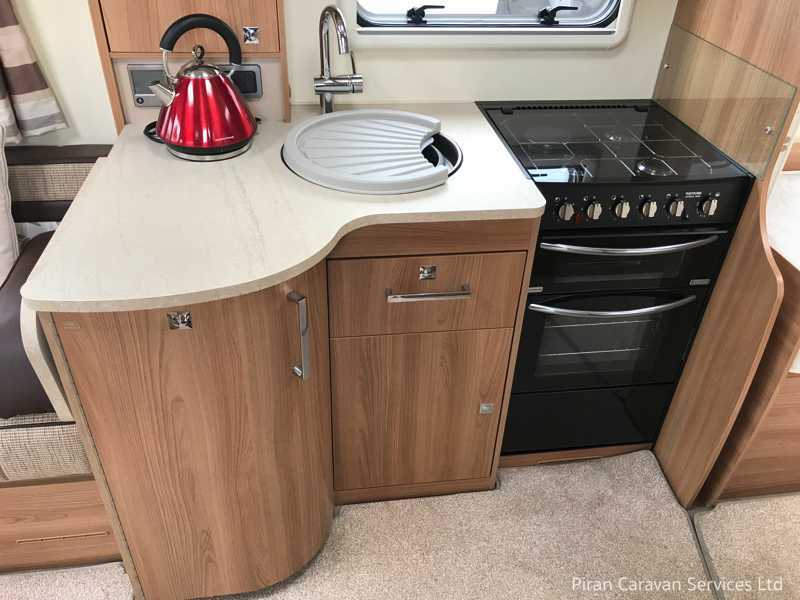 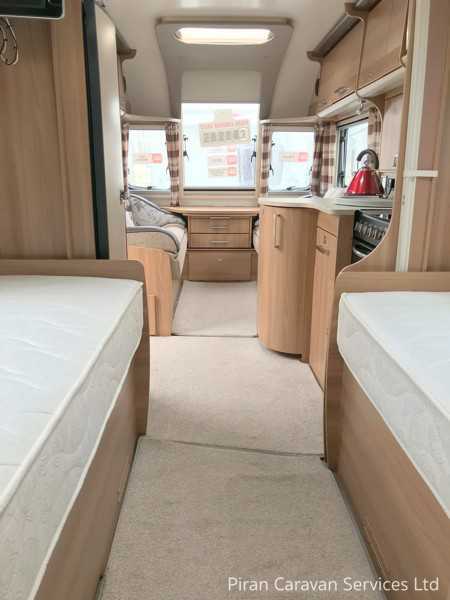 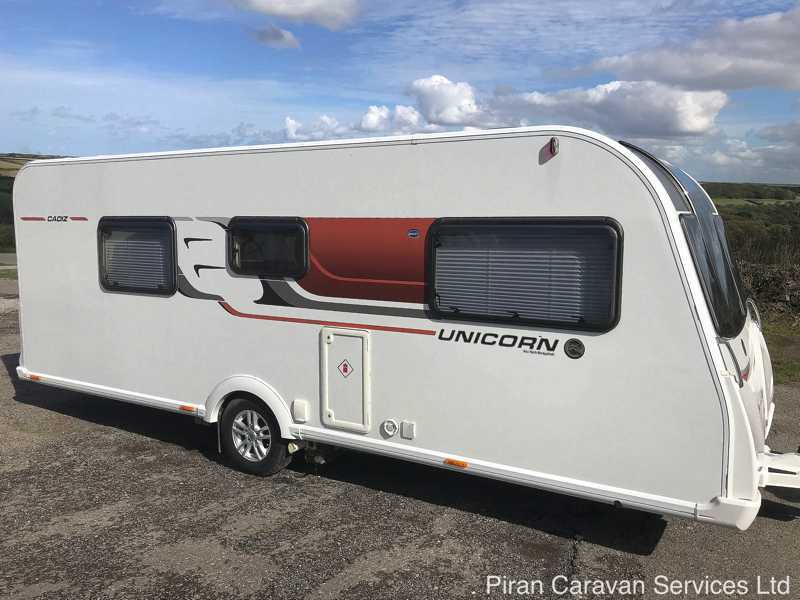 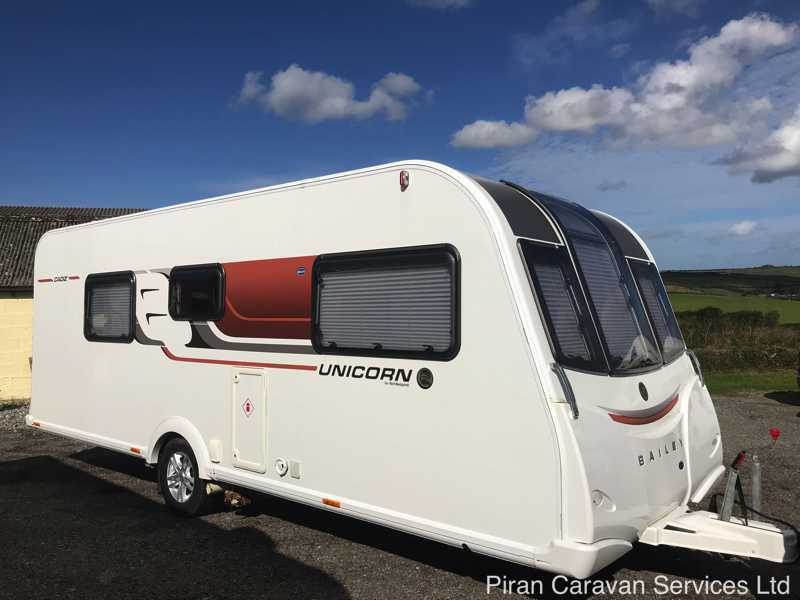 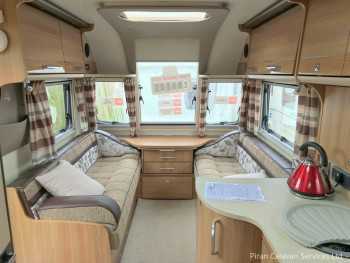 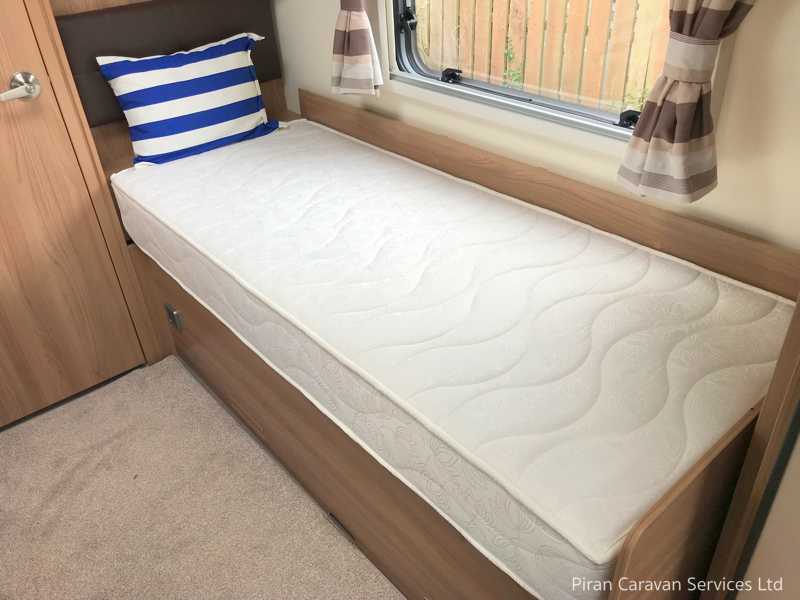 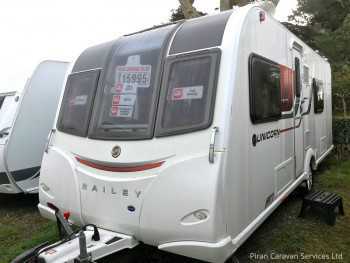 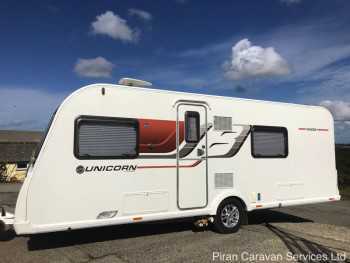 In an exceptional condition throughout, this high spec 4 berth 2015 Bailey Unicorn Cadiz, with its desirable rear twin single bed layout, represents fantastic value for money. 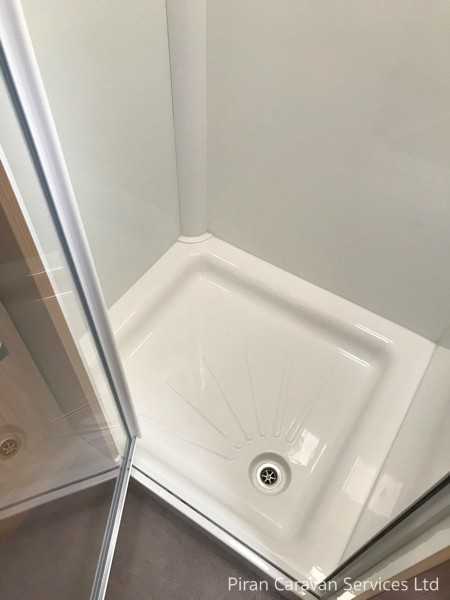 For peace of mind, it has had a comprehensive full service, damp check report and we strongly recommend an early viewing to avoid disappointment. 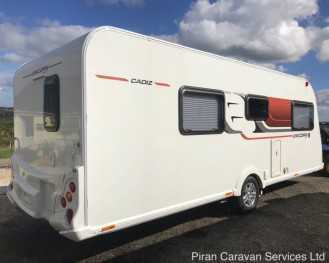 To check if your car would be compatible go to www.towcar.net . 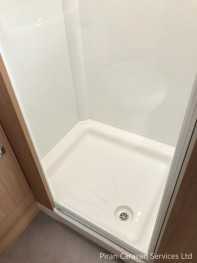 To arrange a viewing please call us now so as not to miss out.